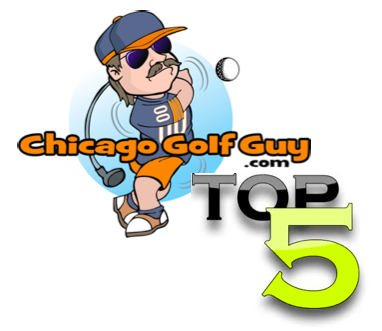 Chicago Golf Guy Review on 05/11/2012: St. Andrews is in great shape right now. The greens are running nicer than almost any course I have played this year (and that includes Dubs). The fairways are a little soft, and the rough is pretty high, but all in all the courses at Saint Andrews are running at full strength and this is super early in the year. I play St. Andrews at least once a week. I normally play during the week, and I always use GolfNow.com for my tee time reservations. I have been paying roughly $25-$35 per round with a cart (and the carts come with yardage gps for front, middle and back). For the amount of money I have been spending, and the greens looking nicer than most run of the mill private clubs: I give St. Andrews an EAGLE. That is how good the course looks. Both Course #1 and the Joe Jemsek Course (#2) are in great shape. I believe that course #1 is harder than #2, but they are both fun to play. There is nothing bad to say about St. Andrews, and for this early in the year it is in phenomenal shape. I just hope that by giving this great review I do not flood my favorite during the week golf course. So please refrain from playing on Tuesday and Wednesdays in the mid morning. 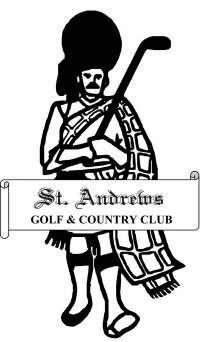 Chicago Golf Guy Review on 12/30/11: St. Andrews is open 365 days a year, and they mean it. I have played many rounds in my younger days (and more daring might I say) in the middle of winter. There is nothing better than getting a new driver for the holidays and then busting it out on a real golf course, not just a driving range, but on actual holes with greens and tees and all that jazz. St. Andrews is the place to go in the winter when everything else is closed, and they always have something in the bar to warm you up before or after your round. Chicago Golf Guy Review 12/26/11 of St. Andrews Golf Course West Chicago, IL: Even in the dead of winter St. Andrews is still in good shape. We are not playing on temp greens or tees. The fairways have been cut recently, and the greens are actually running pretty good. A little bumpy, but for the end of December in Chicago, I am very impressed. However, every one in Chicago had the same idea we did “hey lets go play golf, whats open? St. Andrews is always open!”. So me and my fellow golf enthusiast played a relatively quick 4 hour round in December. We got free coffee in the pro shop, a cart with a full cover (not just a windshield), and had a ton of fun playing golf. With Two courses and the reputation that they are open even if we the golfing community doesn’t want to play, it was great to play real golf with my new presents. I plan on making a tee time in early January, so long as the weather sticks out. Who would of thought that this whole global warming thing would work in our benefit? Thanks Al Gore. Next How to play golf Chicago Style?